As most of you probably know, essential oils are a big part of my life. I use doTERRA essential oils on the daily for myself and my family. I also love sharing them with others and educating people on how they can incorporate these oils into their lives. My intentions with my blog are to share information on all things health, wellness, and lifestyle. All while weaving in my personal experiences when applicable. I seem to have fallen into a pattern of sharing essential oil information in my blog once each month. I like it, so I am sticking with it. So, with that said, I am going back to basics. Essential oils are all the talk these days. Perhaps you are curious. Maybe you recently purchased some oils and don’t know where to start. Or maybe you have some and they are collecting dust somewhere in your house. Then, of course, there is always the possibility that you may just learn something new with the information that I share with you below. Essential oils are pure, liquid extracts that are steam-released or pressed from plants. They have therapeutic properties that support an individual's wellness and soothe many concerns. They are 100% plant derived with no additional processing, preservatives or other ingredients. There are three different ways you can use them. 1. Aromatically - breathe them in. Use oils in a diffuser or inhale deeply from an open bottle. Apply to area of concern or the bottoms of feet. Essential oils marked with a “supplement facts” box are for dietary use. Add a drop to a glass of water, an empty capsule, or to your food. 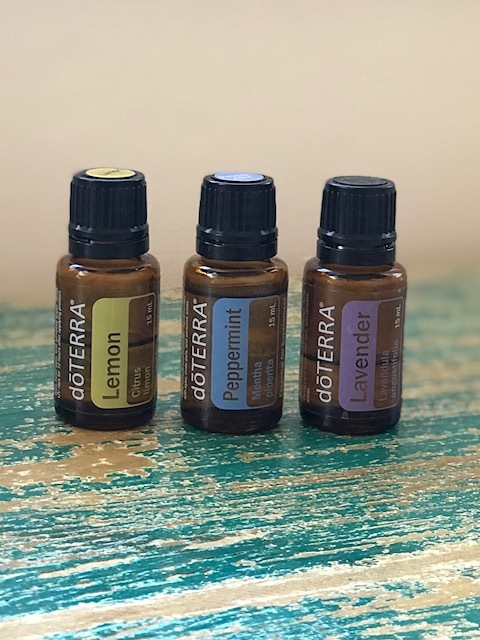 There are many essential oils, but since I am focusing on the basics here, I wanted to share with you my favorite uses for three of the most common essential oils which are lavender, lemon, and peppermint. This oil is great for all things calming. That includes mental, emotional, and physical. Cleansing, purifying, and invigorating. Lemon is one of the most versatile oils. It has multiple benefits and uses. Add flavor. Add a drop to your water, smoothie, or salad dressing. Great for a midday pick me up! Aromatically or topically. Essential oils are super concentrated, a little goes a long way, I repeat...a little goes a long way. Just a drop or two is usually enough for topical and dietary use. There are many reasons to love essential oils. A few being that they are a safe, natural alternative to chemical products. They offer a simple solution for supporting your health right in your own home. They offer incredible benefits for energy, vitality, clarity, calm, and spiritual up-liftment. To sum it all up - they can contribute to your overall health and wellbeing.